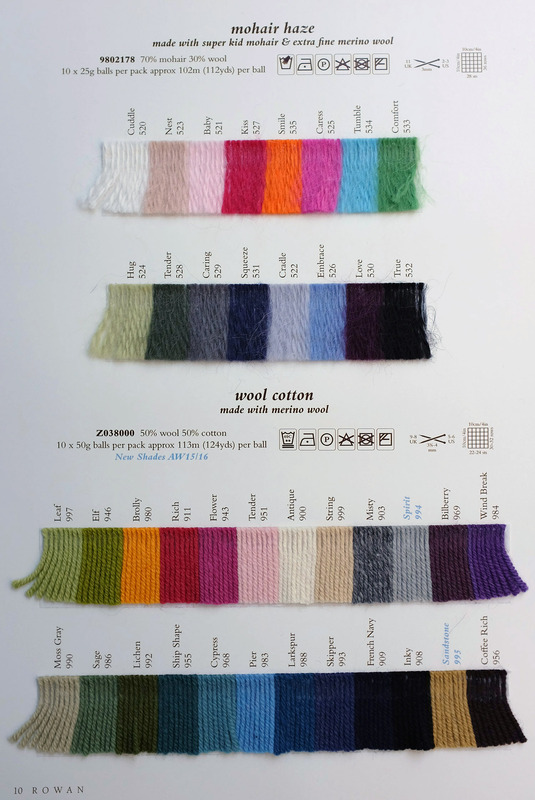 Yarn Type Wonderfully soft and fluffy quality is both warm and exceptionally light to wear. Knit this ladies short sleeved cardigan from Rowan Knitting & Crochet Magazine 56 as an exclusive free download, a design by Martin Storey using the gorgeous yarn Mohair Haze (super kid mohair and extra fine merino wool.) This cardigan is adorned with afloral intarsia pattern and has contrasting moss stitch edgings. This free pattern PDF has also been translated into French, German & Dutch.